The objective for the southeast RDC was to consolidate separate facilities and operations into a single regional hub, designed to provide cost-effective storage and distribution of a vast number of large units and small parts, representing most every size and dimension. 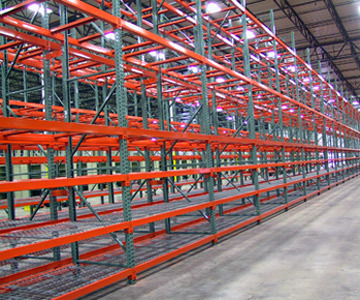 The design and layout of the facility also required consideration for product inventory turns, reflecting industry demand and seasonal trends. 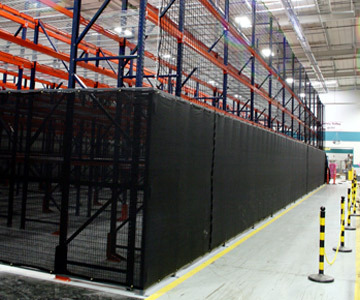 The mission behind developing a Storage & Distribution Center for Emergency Preparedness and Response was to safely store a vast number of vital supplies in a secured environment, that could be easily picked and combined into "kits", that when produced, could be quickly deployed to the disaster site. 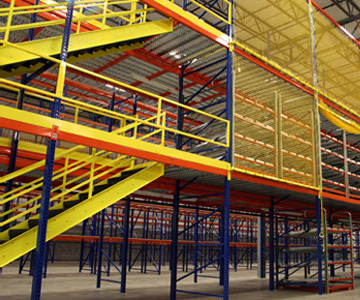 As part of their 2009 strategy to reduce their operational footprint and overall expenses, Siemens Industry USA ("Siemens") elected to close an outside storage facility and bring their inventory storage back in-house. McGee Storage & Handling, Inc. ("McGee") was selected as the preferred vendor partner for Siemens Energy & Automation, to design a new small parts storage solution within their current manufacturing and assembly plant which serves as a ready-supply to the assembly floor.